Whilst most trekkers opt for a four-day trek, on this trip you will experience the best of the Andes on a less-trekked and higher seven-day trail, encompassing spectacular views of Salkantay. Visit Lake Titicaca, camp at the foot of the 5800m glaciated peak of Huamantay, cross a 5000m pass and marvel at the majesty of the Andes before trekking between Inca outposts on the way to mystical Machu Picchu. Lake Titicaca has a magical ambience and is the birth place of the Inca Empire. 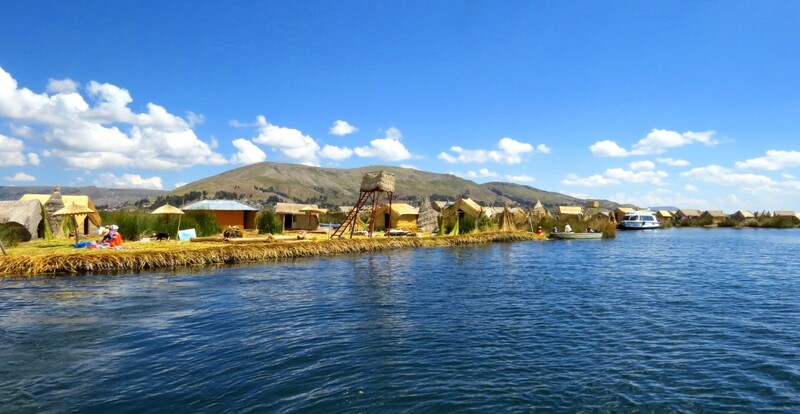 You’ll visit the famous floating islands, home of the Uros Indians, that are fashioned from the tortora reed. Day 4/5 Cusco After crossing the altiplano. You explore bustling Cusco, the crossroads of South America where Inca stonework and colonial architecture fuse. 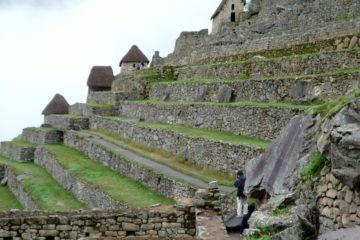 A city tour will take in the main plaza with its impressive cathedral, and the ruins dotted around the city. Day 6-12 High Trail to Machu Picchu. From Mollepata start your extended trek through the beautiful and untouched scenery. 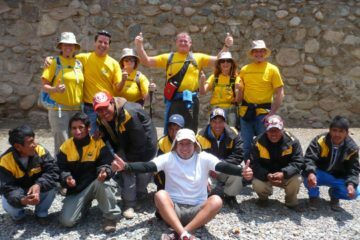 You walk in the shadow of Salkantay mountain and cross the Incachiriasca (5000m) before reaching your final destination of Machu Picchu and the town of Aguas Calientes. 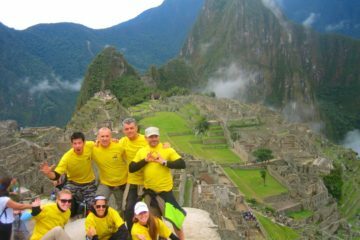 our reward for the tough trek is to have time to navigate the ruins of the famous fortress of Machu Picchu, where the views of the surrounding mountains are enough to take your breath away. Return to Cusco by train. Day 14-16 Fly to Lima.